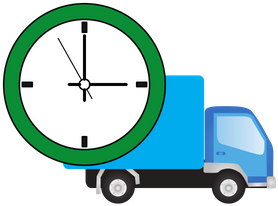 Ponte Vedra Movers | NO Fuel or Travel Charges. Call For A Free Quote! Looking for Ponte Vedra movers? We provide local moving service to all of the beautiful seaside community of Ponte Vedra beach, Florida with timely and reliable service. We move any size home or apartment as well as commercial clients. We move homes & businesses in Ponte Vedra every single day and love it. 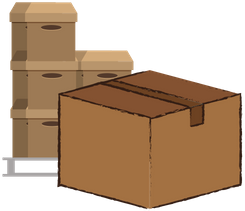 We securely & thoroughly pack, wrap, and protect all furniture and personal belongings, including appliances, electronics, and other special items at no additional cost. No need to empty drawers either. Our Ponte Vedra movers team will handle all the heavy lifting to make your move 100% stress free. Why are we an affordable solution? Because we don't charge travel fees, fuel charges, or extra service charges. We have grown & become popular movers in Ponte Vedra because of our commitment to low prices and superior customer service. St. John's Movers is licensed, insured, and our team is dependable, trained & professional. We treat your furniture & belongings as if they were our own - with respect, safely packing & wrapping items. Why choose us for your Ponte Vedra move? We guarantee safe & secure packing and wrapping of your furniture and belongings. Service Area: We provide professional moving services all over Ponte Vedra beach & St. John's County, FL. See the map at the bottom of this page.